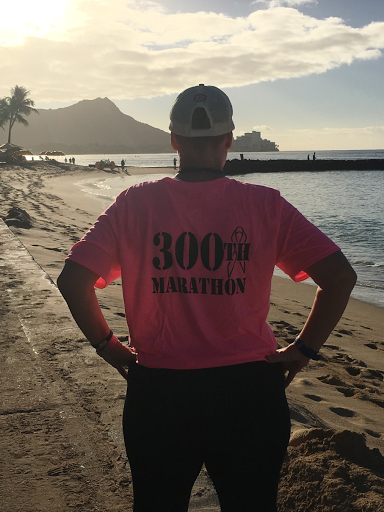 As we prepare to depart Hawaii today to head back home, I want to thank everyone for all the love and support as I achieved this goal of 300 marathons! My life has forever been changed because of the friends I have around me, they have made me a stronger and more courageous woman. I know where I have been and I know where I am going! Time to move forward and plan next years marathon schedule!